Home / All Posts / University Saving Tips and Tricks, Part Two. 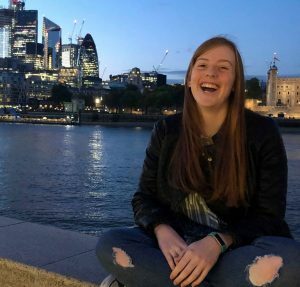 I’m back again with another tips and tricks post on how to save money whilst at University, after the warm reception part one received I can’t wait for you to read this one! Enjoy and remember, if you think I’ve missed a key pointer off either list then make sure to leave it in the comments below! This may seem like an obvious one to some of you but you’ll be surprised how many students don’t take advantage of the discounts brands like NUS, unidays or studentbeans offer! If you want to go out for dinner one evening why not go to one of the 14 restaurants which provide a student discount with an NUS card. The discounts which NUS provide are some of my favourites as you can save so much money and still enjoy eating out every now and then! Pizza Express, Zizzi, ASK Italian, Giraffe, Domino’s, Prezzo and many other restaurants are included in the NUS ‘Eating Out’ discount section. It may seem bizarre that I’m posting about saving money whilst suggesting you buy your own printer but hang on. If your university is anything like mine they’ll charge you to use the printer. Plus it’s a lot of hassle having to go into uni on your day off just to print something off. In my degree we often get extracts sent which we have to analyse so having a printer is so handy. In the long run you’ll save money by having your own but if you can’t afford one yourself, why not ask for one as a birthday or Christmas present? If you have a set income per month why not budget and work out what you have to spend weekly. That way you can monitor your spending easily and if you under spend one week you have a little extra to spend the following week or you can put it into your savings for when money is tighter. Setting a weekly budget really helped me! Having a student savings account could be beneficial to you. If needed you have access to an overdraft interest free in case money is short one month. I know as well that when I signed up for mine I was ‘rewarded’ so to say with an Amazon voucher and free Amazon Prime too so there are definitely perks of signing up too which will only aid your time at university. My last money saving tips comes from Elle, a blogger and university graduate so she’s definitely been there and got the t-shirt! “First of all, save money at Uni by making your own lunch or use left overs from the night before. University outlets and even supermarkets are renowned for expensive meal deals. Make the most of vouchercodes and apps for GBK and Nandos. Money off and free food is a blessing when you go out for dates or friend’s birthday meals. Thank you for reading. I hope that these tips are helpful for those starting or for those who have already started it. Next ArticleUniversity, 13 Years Ago; An Interview. Where was this post when I was at uni :D! Great tips! Will have to implement them now, because I am still terrible at saving even now I’ve graduated! Thank you! Ah, hope they help! Haha my parents remind me of some all the time, Mum always reminds me to book my train tickets so they’re cheaper! What would we do without parents, eh?